Throughout this page ‘we’ or ‘us’ will refer to Fairlie Sawmill Ltd, trading as Fairlie Furniture, who own and operate this website. ‘You’ are the person, company, or legal entity buying the goods from us and to whom the goods are to be invoiced and delivered to. The ‘Goods’, ‘items’ or ‘furniture’ are hereafter used to refer to the items which you have ordered via this website or over the phone, the goods which these terms and conditions cover. By using or accessing this website and/or placing any order(s), you agree to be legally bound by these terms and conditions. Orders placed on the website form a contract with Fairlie Sawmill Ltd.
We generally do not carry any items in stock (with some items for shows or the showroom excepted) – everything is built to order. 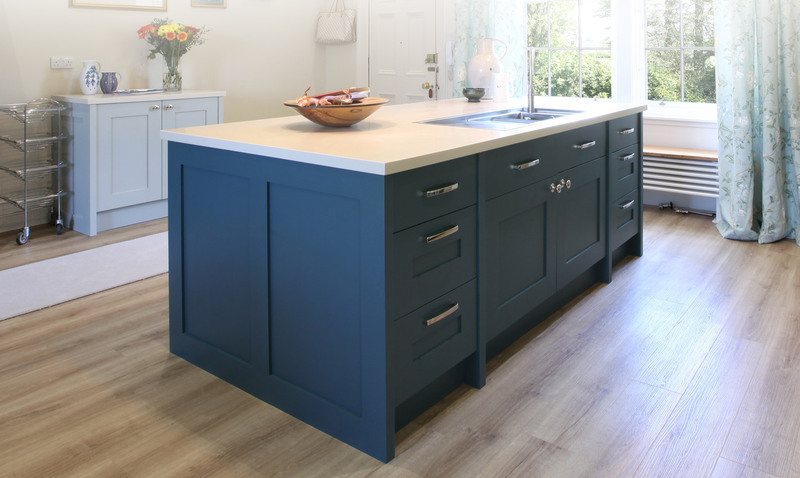 The process of building custom furniture is neither quick nor straightforward so there will be a significant lead time in relation to buying ‘off the peg’ products. We make our current lead times (based on the order book at any given time) available to view on every product page. It will generally be around 8-10 weeks but we may be able to fulfil your order sooner than this. Please be aware that this lead time is an estimate and may vary. We will not accept liability for any losses, costs, damages, charges or expenses caused by this estimate being incorrect. Remember you are free to cancel your order at any time (see the cancellation section for more info). We will keep in touch with you by phone or email in respect to this and work together with you to ensure it arrives at a time suitable for you. 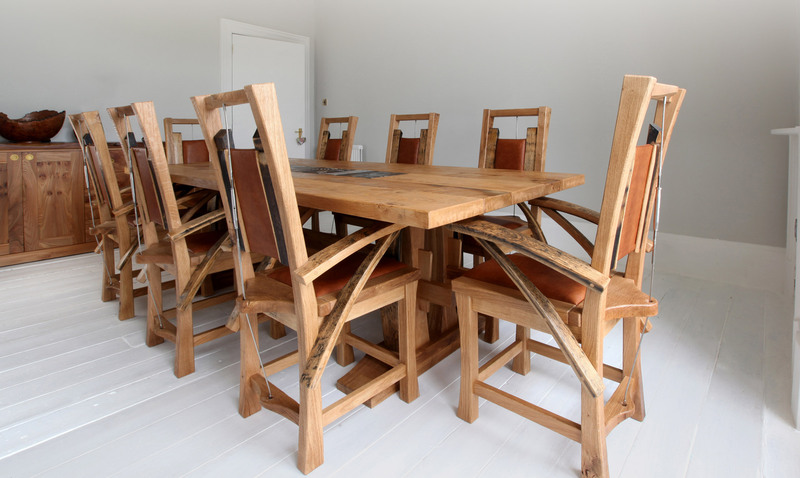 Our craftsmen are some of the best around – but there will be some small tolerances of a few millimetres on the exact dimensions of the item produced versus the sizes quote on the product description. As such all measurements should be treated as approximate and we will not accept any liability for any extra costs incurred by you as a result of the product you receive not being precisely the same as the sizes in the description. Please let us know if you have extremely exacting sizing requirements. 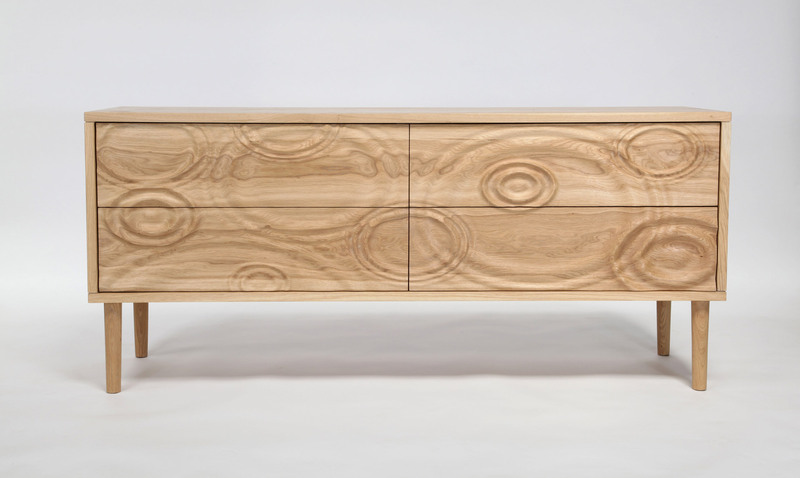 Our furniture is made from the very best native hardwood. It is a natural material so there will be slight variations in appearance between the woods used in the item. There may also be variation between the colours in the item you receive and the colouring of the item in the photo, which is used for illustration only. This is a good thing! 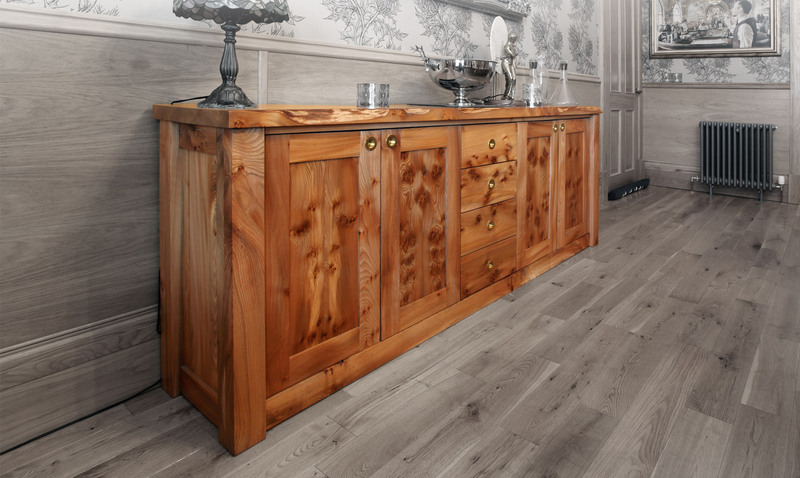 Your piece of furniture is totally unique and there will not be another one like it – that’s because the wood used in it is totally unique, every bit special and individual, with it’s own story and history. If you don’t want that then don’t buy hardwood furniture, buy something made of plastic or MDF. The wood will have burrs, pippy areas, maybe cracks and some splits. In some cases we use special fillers to create features (resins with items entombed, metal polymer fillers etc – you can request this kind of thing if you like). 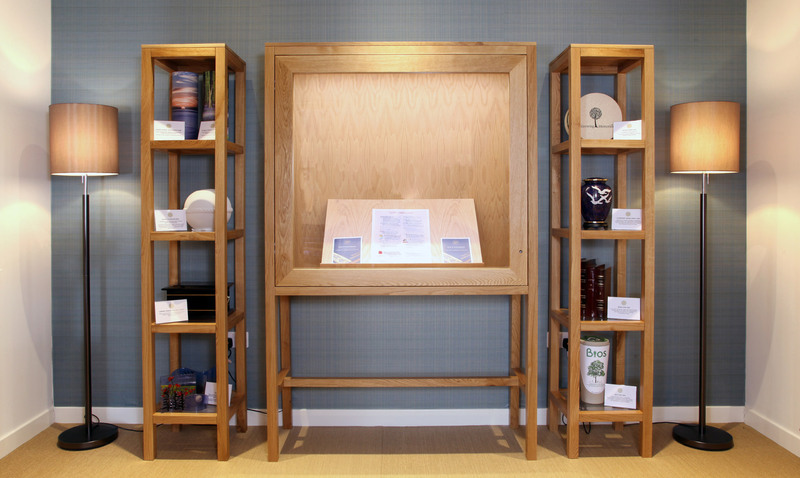 It’s all part of the art of manufacturing using natural hardwood. If you are purchasing an upholstered product ie a chair or chairs with panels covered in leather, remember that leather is a natural product too and there will be colour variations and natural marks. As our furniture tends to be large, heavy, and require careful handling, we use a specialist furniture removals company to fulfil our orders. This means that there will be at least two delivery persons, and that they will be able to safely carry the item of furniture into your home and then into the specific room in which it is due to reside. Our system includes this additional ‘luxury’ delivery service automatically on checkout. The cost of delivery is therefore priced to reflect this high level of service. Each item from our online ordering section has it’s own ‘luxury’ delivery price, they will be added together on checkout. You can view the total in the cart page (in the ‘Shipping Estimator’ section) and it will be displayed as a separate line item in checkout. However, if you would like such a service then you can get in touch and we will arrange it, we will happily pass on the reduction in the delivery charge to you. If you are able to pick the item up from our workshop then you can select this option in checkout and your delivery charge will be £0. Important Note:Your selection of shipping option will have ramifications on your entitlement to refunds should you decide to return the goods. Please see the Returns & Cancellations section below. It is your responsibility to ensure adequate safe access to your home. It is essential that you inform us, at the time of ordering, of any possible access restrictions that may affect our ability to fulfil this part of our contract. Double check your measurements before you order, and ensure that you will be able to get the furniture into the room it is intended for. If you reject delivery on these grounds you will be liable for the cost of returning the goods to our workshops and it will be deducted from your refund. Delivery can only be made to a mainland UK address. If you live in any of the islands which form part of the British Isles then please phone and we will make separate arrangements for your delivery (please note this delivery will form a separate contract in itself). You will be contacted by telephone and email to confirm your delivery date, once a delivery date has been agreed you must be present on this date to take delivery. If for any reason you become unavailable to take delivery please contact us on 01475 560 109 as soon as possible, in any case no later than 48 hours in advance, otherwise we reserve the right to levy a second delivery charge to cover the cost of the failed delivery. We reserve the right to pass on to you the additional costs of all refused deliveries or re-deliveries without justification. Delivery will only be made to the address as stated in your original order and they will not be left without a signature. On receipt of your goods, open the packaging and check your items very carefully. If you have any concerns see Returns below. Keep any packaging in case you need to make a return. Once you are happy that you are going to keep the goods, please dispose of all packaging carefully. Goods must be signed for at the time of delivery. Title of the product will pass to you once you have received the goods and we have received full and cleared payment. If goods appear damaged, incomplete or incorrect on receipt, this must be noted on the courier’s documentation. You must also notify us no later than 3 days after delivery by email or telephone 01475 560109. Should goods ordered fail to arrive on their expected delivery date, please notify us on 01475 560109 immediately and will will establish what the issue is and resolve as quickly as possible. We will endeavour to meet any date agreed for delivery, however we will not accept liability for any losses, costs, damages, charges or expenses caused by any delay in delivery of the goods. We reserve the right to cancel and refund an order at any time, for any reason. In the highly unlikely event that we have to do this, we will notify you by email and refund any monies paid as quickly as possible. You have a right under the Distance Selling Regulations to cancel your contract at any point up until 7 working days after the receipt of the goods. Cancellations must be made in writing. You will be liable for the cost of returning goods. This must be done within 10 days of your decision to cancel the contract and return the goods. If you are unable to arrange the return of the goods within this time period then please inform us on 01475 560109, we will arrange for the items to be collected, in such a case we will deduct the cost or transporting the item back to our workshops from your refund. We cannot accept responsibility for returned goods that are not received. Proof of posting will not be accepted for credit of goods. If you are arranging your own return of goods then we would strongly advise you to use a reputable courier, and take out insurance on the delivery. A full refund of the cost of the goods is wholly conditional upon the above conditions being met and will only be authorised after a full inspection of the item(s) when they arrive. If we find any damage to the item it will be marked on the courier’s documentation and photographs taken of it. We will deduct from your refund the cost of fixing this damage, and returning the product to the condition it was in when it was originally dispatched to you. Refunds on your delivery charges will depend on the delivery method chosen. Additional charges incurred by us to fulfil our ‘5* Delivery Service’ are non-refundable. In the case of delivery by this method, you would be reimbursed the difference between this cost and the cost of making your delivery by normal means (ie a ‘front door only’ service). If you are not happy with that then please get in touch and we can arrange for a normal ‘front-door only’ delivery service which will be fully refundable in the event that you decide to cancel the contract. All prices quoted are in pounds sterling and include VAT but exclude delivery charges. Delivery charges are set per-product, and can be viewed on each product page as well as the shipping estimator in the cart. They will be clearly marked prior to your order. Full payment is due when the order is submitted. If you are paying by credit or debit card then that amount will be authorised and captured immediately and your order booked into our system. Orders by cheque or bank transfer will not be booked into the system into the cheque has cleared or the bank transfer has completed. Products made or altered specifically for you, may not be returned nor will we provide any refund, unless they are defective or have been accidentally damaged by us in the course of delivery. These products fall outside thre scope of the Distance Selling Regulations but you are still covered by all normal legislation under the Sale of Goods Act. Whilst every effort is made to ensure the accuracy of the information contained within this site, occasionally errors occur. If an error is discovered in the price or description of an item you have ordered, you will be contacted immediately. You will be able to cancel the order, as per the cancellation policy, or amend as required. As a Scottish registered company we are governed by the laws of Scotland in relation to, and including the use of, this web site and the materials contained therein. If you choose to access our web site from outside Scotland you do so on your own initiative and you hereby agree that in the event of a dispute between ourselves and you the laws of Scotland will apply at all times.